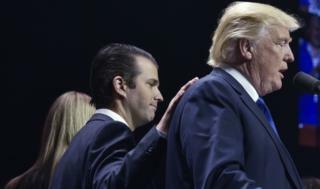 Donald Trump Junior was informed that information offered by a Russian lawyer was part of a Russian government effort to help his father’s election campaign, the New York Times reports. Publicist Rob Goldstone, who arranged the 2016 meeting, reportedly stated this in an email. Mr Trump Jr has defended the meeting, at which the lawyer offered to reveal damaging material on Hillary Clinton. Moscow and the White House both deny there was any political interference. The FBI and Congress are currently investigating alleged Russian meddling in last year’s US election, including whether any of President Trump’s associates colluded with the Russian government to sway the result. 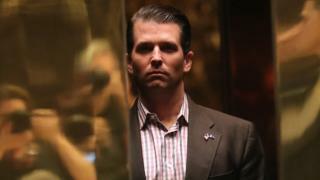 Donald Trump Jr has insisted that the lawyer, Natalia Veselnitskaya, provided “no meaningful information” on his father’s rival for the presidency. 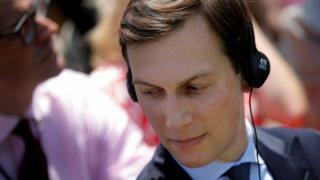 The president’s son-in-law, Jared Kushner, and then-campaign head, Paul J Manafort, were also at the meeting. Mr Goldstone has previously denied any knowledge of involvement by the Russian government. Ms Veselnitskaya, who is married to a Moscow government official, has denied that she works for the Kremlin. “It’s a very serious development,” Representative Adam Schiff, the top Democrat on the House Intelligence Committee, told MSNBC of the New York Times report. Mr Trump Jr has hired a New York defence lawyer to represent him in the Russia-related investigations. Alan Futerfas described reports of the meeting as “much ado about nothing” and said his client had done nothing wrong. When was the meeting and how did it come to light? It took place on 9 June 2016 at New York’s Trump Tower, just two weeks after Donald Trump secured the Republican nomination. It is thought to be the first confirmed private meeting between a Russian national and members of President Trump’s inner circle. After the New York Times first reported the meeting on Saturday, Mr Trump Jr released a statement which confirmed that it had taken place but did not mention whether it was related to the presidential campaign. However, another Times report, on Sunday, said Mr Trump Jr had agreed to the meeting after being offered information that would potentially prove detrimental to Mrs Clinton. The paper cited three White House advisers briefed on the meeting, and two others with knowledge for it, as its sources. Mr Trump Jr said that an acquaintance he had known from the 2013 Miss Universe pageant had set up the meeting. The Washington Post confirmed that figure to be music publicist Mr Goldstone, who has links to the Russian music industry. In a statement on Sunday, Mr Trump Jr said he had been asked to meet “an individual who I was told might have information helpful to the campaign”. Mr Trump Jr’s statement continues: “After pleasantries were exchanged, the woman stated that she had information that individuals connected to Russia were funding the Democratic National Committee and supporting Mrs Clinton. “Her statements were vague, ambiguous and made no sense. No details or supporting information was provided or even offered. It quickly became clear that she had no meaningful information. “She then changed subjects and began discussing the adoption of Russian children and mentioned the Magnitsky Act. Ms Veselnitskaya said on Saturday that “nothing at all was discussed about the presidential campaign” and insisted she had “never acted on behalf of the Russian government and [had] never discussed any of these matters with any representative of the Russian government”. On Monday, Mr Trump Jr tweeted sarcastically: “Obviously I’m the first person on a campaign to ever take a meeting to hear info about an opponent…” He also denied issuing conflicting statements. And he linked to a piece in the New York Post headlined “The Times ‘exposé’ on Donald Trump Jr is a big yawn”. What is the Magnitsky Act and who is Natalia Veselnitskaya? Adopted by Congress in 2012, the act allows the US to withhold visas and freeze financial assets of Russian officials thought to have been involved in human rights violations. 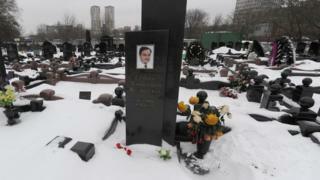 It is named after a Moscow lawyer, Sergei Magnitsky, who had accused Russian officials of tax fraud but was himself arrested and died in police custody. The US law so incensed President Vladimir Putin that he suspended a programme allowing Americans to adopt Russian children. Ms Veselnitskaya is a lawyer whose clients include companies and individuals said to be close to the Kremlin, and she has been at the forefront of a campaign – backed by the Russian state – to overturn the Magnitsky Act. Whether by plan or happenstance, Donald Trump Jr is stumbling into an increasingly dire situation. The pattern has been set. The New York Times runs a story, Trump Jr issues his response, then the noose tightens. First he said the meeting with Russian lawyer Natalia Veselnitskaya was about adoption issues. Then the Times reports that Trump Jr thought he would learn damaging information about Hillary Clinton. The presidential son says he was conducting routine opposition research. Then the Times reports that he was told it was the Russian government itself that was coming to his father’s aid. In a traditional campaign, a foreign government’s attempt to offer incriminating information about an opponent – or even the hint of such an overture – would set off all kinds of alarms. The FBI would have been notified. Senior staff would have insulated themselves from incrimination. The Trump team was not a conventional campaign. And time and time again, they have made novice mistakes – or, more ominously, taken unprecedented risks. Their candidate prevailed, but it has led to countless political headaches. Now it appears the president’s own family, and his presidency itself, could be in peril. They have only themselves to blame. How has the rest of the Trump team responded? Mr Kushner and Mr Manafort have not commented, although Mr Kushner’s lawyer said her client had previously disclosed the meeting on security clearance forms. Mr Manafort has disclosed the meeting to congressional investigators. A spokesman for President Trump’s legal team said on Sunday that the president was “not aware of and did not attend” the meeting. 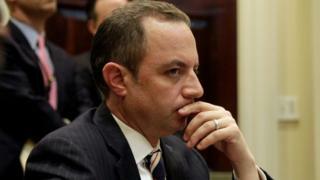 White House chief of staff Reince Priebus said the meeting was a “big nothing burger”. The Times said Mr Trump Jr had told the paper in March that he had not met any Russian nationals to discuss campaign-related matters. Why is Russia being investigated? It is alleged that Russian hackers stole information linked to the Clinton campaign and passed it to Wikileaks so it could be released and help tip the election towards Mr Trump. Congressional committees and a special prosecutor are investigating whether there was any collusion between the Trump team and the Russians. The investigations have yet to reveal any evidence of collusion, something the president has always denied. Last week Mr Trump said interference in the election “could well have been” carried out by countries other than Russia and interference “has been happening for a long time”.